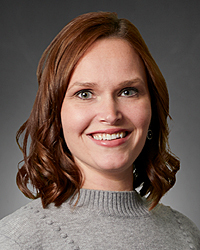 Amy Walworth, APRN-CNP is a skilled nurse practitioner serving the Eaton and surrounding community. Amy received her Master of Science in Nursing from Wright State University and her Bachelor of Science in Nursing from Indiana University. Amy's commitment to her patients mirrors the network’s mission to improve the quality of life of the people in the communities we serve.She is a wife and mother of two amazing boys who enjoys photography, travelling, football, and raising her family in the community she serves.